Specifically designed to deliver the brightest, whitest, far-reaching light beam without compromising battery life. Bi-Pin, vacuum-sealed and extremely bright for its size. 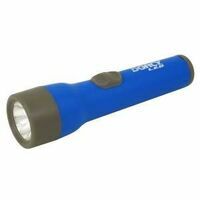 For single cell AAA Solitaire flashlight. Sleek design and a simple twist on/off function. Batteries last over 60 hours and can be easily replaced. Waterproof and equipped with a number 0 S-Biner. Waterproof, they float. 4x replaceable AG-3 batteries included. Sleek design and a simple twist on/off function. Batteries last over 60 hours and can be easily replaced. Waterproof and equipped with a number 0 S-Biner. Waterproof, they float. 4x replaceable AG-3 batteries included. Sleek design and a simple twist on/off function. Batteries last over 60 hours and can be easily replaced. Waterproof and equipped with a number 0 S-Biner. Waterproof, they float. 4x replaceable AG-3 batteries included. Sleek design and a simple twist on/off function. Batteries last over 60 hours and can be easily replaced. Waterproof and equipped with a number 0 S-Biner. Waterproof, they float. 4x replaceable AG-3 batteries included. Conversion bulb operates with any 3 cell, 4 cell, or 6V lantern or flashlight. 100,000 hours of use. 40 lumen, 4.5 volt. Includes 4 colored filters, red, green, blue and yellow, plus clear. Rubber bezel cover holds filter in place. Fits HP7R, HP7, HP7TAC, PX46, PX45, TX44, TX40, G40, G35 and HL8 flashlights. Brackets and mounting screws to hold D size Maglite. Made in the USA.